A few years ago, the only alternative to a traditional girls’ night out dinner and drinks was to rally your squad and pretend to be budding Picassos at a Paint Nite pop-up. Well, times are changing (…for the better) and now it seems that there are group classes available for just about every activity under the sun. Over the last year, I’ve learned how to knit, arrange florals, test my hand at calligraphy, and even create my own jewelry, all thanks to group classes available in Boston. Instead of making a dinner reservation at whatever the latest hot spot is in town (ok, to be fair, we still do this A LOT! 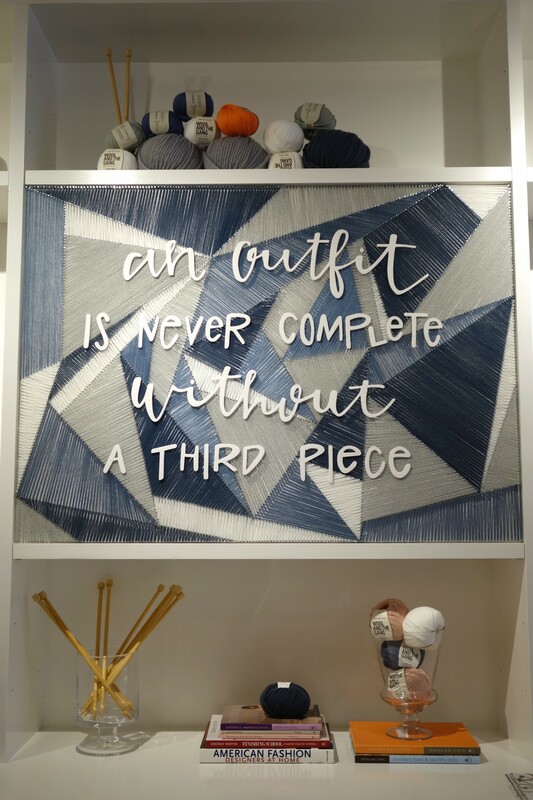 ), my friends and I have found that getting together to take a craft class is equally as fun and surprisingly affordable! I love the fact that we can learn a new hobby while still socializing and catching up. 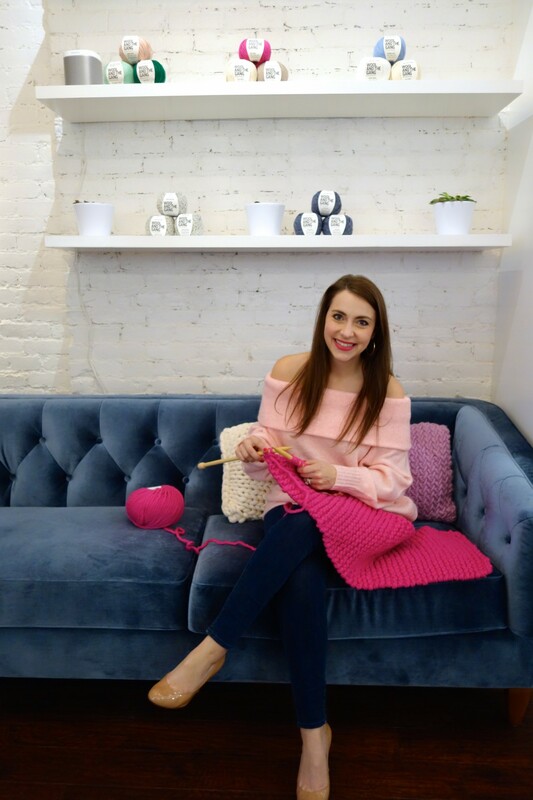 If you’re interested in experiencing a new craft or hobby, I’ve rounded up a few of my favorite classes to take with friends in Boston. Have you ever tried any of these options or perhaps another class that I have not included? Please share below! 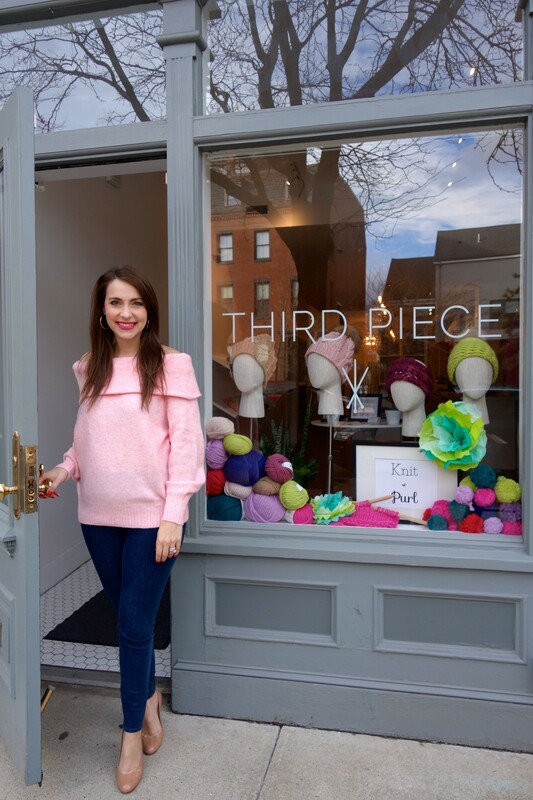 As a longtime fan of the female-owned, Boston brand, the Third Piece (you can see me wearing my favorite Third Piece winter headband here), I loved testing out my knitting skills during a recent introductory class at their new South End shop. 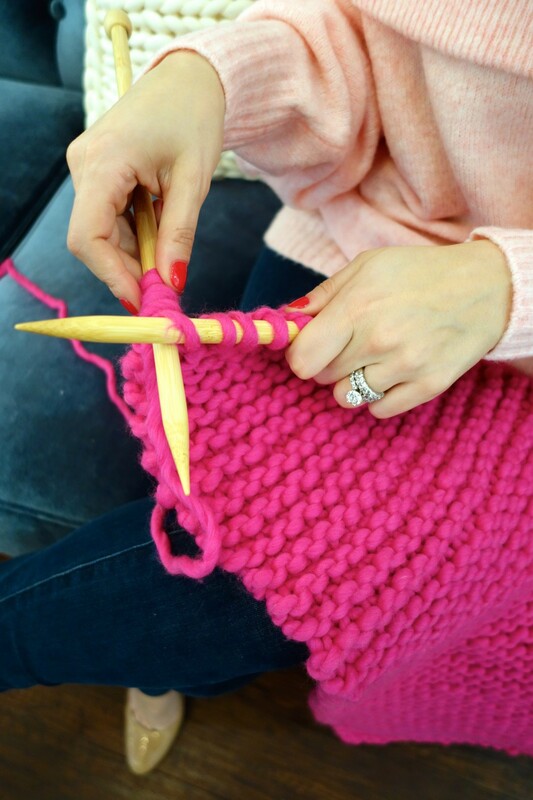 As a child, I dabbled in crocheting here and there, but before taking this class, knitting was totally new for me. While at first it is a bit daunting to learn the technique, once you pick it up, it’s a breeze! The Third Piece’s friendly, knowledgable staff was incredibly patient with our group and shared a handful of helpful tips and tricks that made the learning process that much easier. 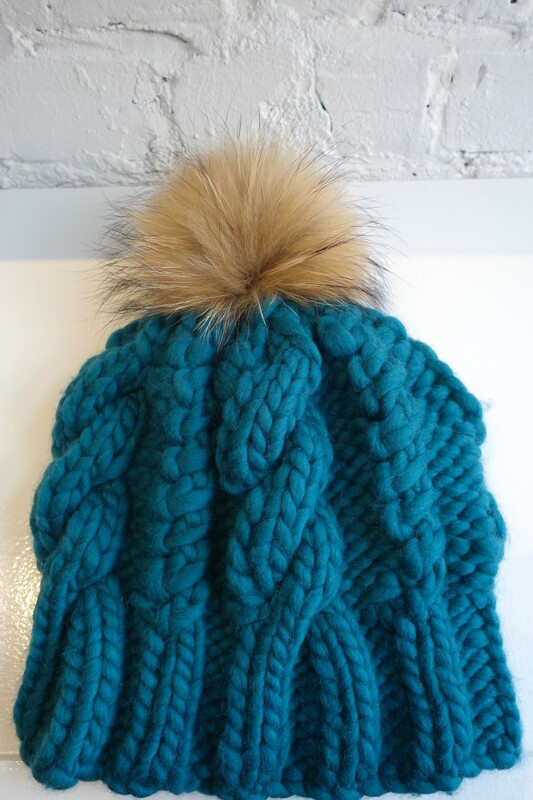 If you’re brand new to knitting, like me, I’d suggest taking the Third Piece’s “Foundation I: Learn to Knit” classes. 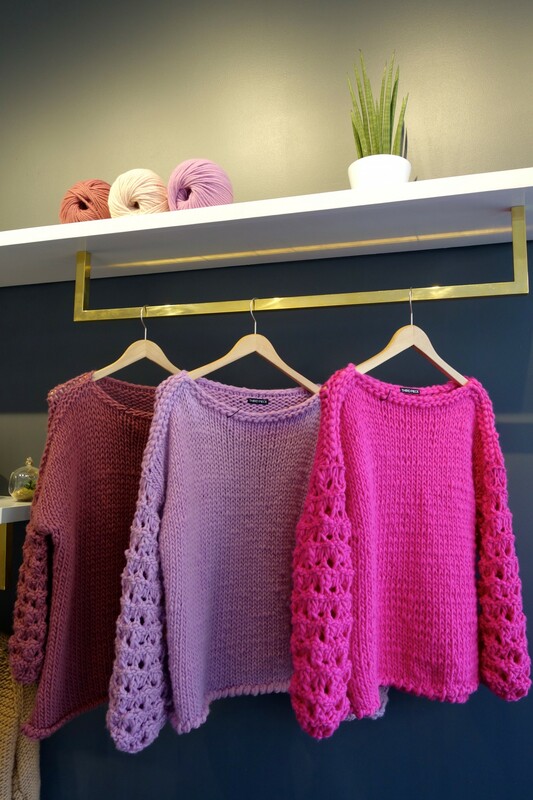 Once you’ve mastered the basic skills, you can return to the Third Piece for a “Social Knit Night” or to take additional, more complex knitting lessons. 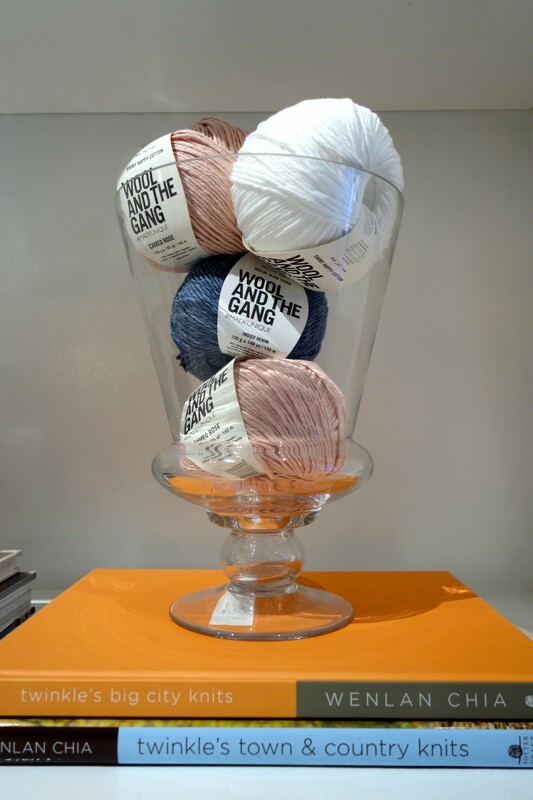 While you’re visiting the shop, don’t miss checking out the brand’s gorgeous knitwear that’s available for purchase! When we got married, we paid between $2.00 -$3.00 per envelope for our guests’ addresses to be written in calligraphy. At the time, I had thought about learning how to master this skill and do my own calligraphy! Then, of course, life got in the way and I just never got around to doing it (…you know how it goes). Flash forward seven years, I finally took a group calligraphy class with Sip & Script and realized that perhaps I was a bit ambitious with my initial thought…calligraphy is hard! Armed with my pointed dip pen, ink, and an alphabet lettering guide, co-owner Julie Mancini carefully taught me the basics of calligraphy. While I may not be addressing wedding invitations anytime soon, I loved learning this new skill and have a newfound appreciation for calligraphy! Sip & Script pops up at neighborhood shops and restaurants across the city and is such a fun and different activity to do with a group of friends. Did you know that your local Paper Source hosts crafting classes, such as card, journal, and bow-making tutorials? I had no idea until one of my friends organized a card making night for us at the Boston store on Boylston Street! For around $30.00, you can join the Paper Source staff in a one to two hour class and learn crafty tips to make eye-catching and unique gifts and cards. During the lesson I took, we learned how to make three different types of greeting cards utilizing materials such as tissue paper, stamps, and my personal favorite, glitter! While I don’t typically consider myself crafty, I did feel rather accomplished when I left the shop with my hand-made cards in tow. This is a great arts and crafts activity to do with a few of your favorite paper-loving friends! I am a bit of an Alice’s Table fanatic! To date, I’ve taken four different Alice’s Table flower arranging classes because every time someone asks me to go, I just can’t say no…I love flowers! If you’re not familiar with the growing trend of floral arranging classes, you can read more about the different options available in Boston here. In short, the Alice’s Table team pops up at various venues around Boston and you and your friends can attend a class to learn how to make the perfect floral arrangement. For around $65.00, a trained floral designer (I love taking Amy a.k.a. @bubblynblooms classes!) will equip you with a beautiful vase and all the seasonal blooms and greenery you’ll need to make a gorgeous floral display. Beyond creating a lovely arrangement, one of my favorite parts about taking an Alice’s Table class is learning new and helpful tips and tricks about flowers. During past sessions, I’ve been instructed on the correct length to cut blooms, how to water and care for various species of flowers, and of course, the best ways to arrange flowers in a vase. This is the perfect activity to do with your mom or a group of girlfriends. Tip: Make sure to arrive early to class, as the seats fill up quickly and you’ll want to make sure you and your party can sit together. 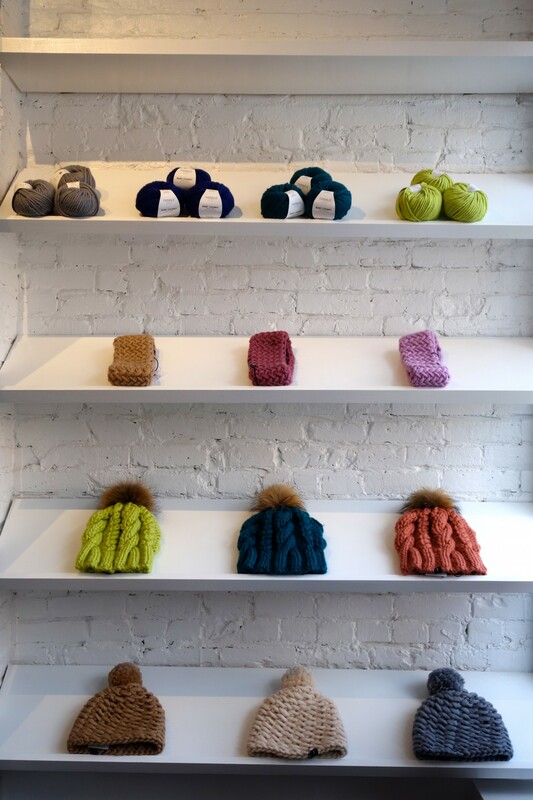 Located in the SoWa district of Boston’s South End, Bead + Fiber is part gallery/part craft store and offers a wide range of classes, including jewelry making lessons. The store is fully stocked with all the beads and tools you could possibly need to create your own earrings, bracelets, necklaces, and the like, and before the class, you can purchase exactly what you would like to use for the lesson. I could easily spend an afternoon browsing through the countless colors and shapes of beads; there is such a great selection! Whether you are a novice or a more advanced jewelry maker, Bead + Fiber has lessons that would be perfect for you and a group of your friends to do together. 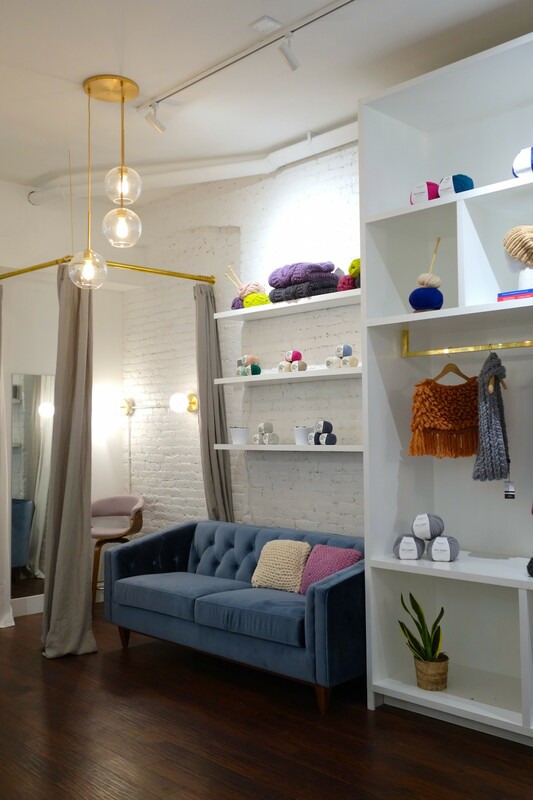 And, if jewelry isn’t your thing, Bead + Fiber also hosts stitching, knitting, and kumihimo lessons at their Harrison Avenue shop.